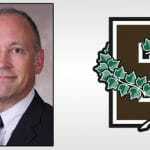 American Fencing Magazine salutes RIFAC among best clubs in the nation! Saluting Quinn Crum, Gold Medalist at the 2013 Junior Olympics! 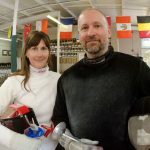 Fencing is a sport of passion and precision, and for two decades, Rhode Island Fencing Academy owners Alex and Jill Ripa have shared their love and knowledge with thousands of students, some of whom have risen to the highest levels of this perennial Olympic sport. Send us a message and we'll be in touch ASAP.